Hunting accidents have declined rapidly since the passage of two laws in 1970. One law requires hunter education training for all hunters born on or after January 1, 1949. The other requires hunters to wear at least 500 square inches of fluorescent orange clothing above the waist--including a head covering visible from all directions. 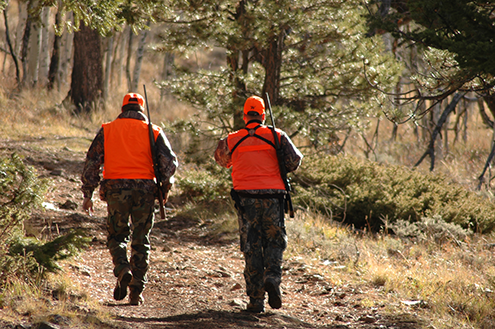 Colorado averages fewer than two hunting fatalities per year. Since 2000, hunting has continued to post the best safety record of outdoor recreation forms, with a per-year average of only 1.3 fatalities and 7.8 total incidents involving injury from a firearm, arrow or other gear used in hunting. Most hunting incidents involve hunters; there are no records of non-participant injuries resulting from a hunting accident in Colorado. "Hunting is safe and getting safer all the time in Colorado," said Travis Long, hunter education coordinator for Colorado Parks and Wildlife. Still, the agency sells nearly 500,000 hunting licenses every year, resulting in several million hunter recreation days. Over the course of all the hunting seasons - small game, upland game, waterfowl and archery, muzzleloader and rifle big game seasons - tens of thousands of individual hunters will take to the field carrying bows and arrows, shotguns and rifles. Consequently, safety must always be a primary concern. Almost all hunting accidents could have been avoided if the hunter had exercised a little more care, Long explained. Long before the hunting season starts, hunters should head to the shooting range for practice. "Get out to a range and practice and be familiar with the guns you'll be using," Long said. "Practice makes for a much safer and enjoyable hunt. And it also increases your chances for a successful harvest." Most hunting incidents involving firearms occur around vehicles. The reason: that's where guns are usually loaded or unloaded and where hunters are standing close to each other. Exercise extra caution when loading and unloading a gun, and do it well away - 100 feet or more - from your vehicle. so check local regulations in the Colorado big game brochure. On U.S. Forest Service or BLM roads you need to be just off the road. It is highly recommended that firearms be unloaded when you're crossing streams and fences, and while walking on unstable, steep or rough terrain. The gun's safety isn't always enough to prevent it from firing because it can be moved to the fire position by clothing, vegetation or a fall. "The safety is a mechanical device that can break or fail. It is not a substitute for proper gun handling and safety," Long said. As soon as the hunt is over, whether that means an animal has been harvested or you're finished for the day, unload your gun. Firearms should be unloaded well before getting to the vehicle or camp, and then double- or even triple-checked to be certain they are empty before placing them in a case or vehicle. "At the end of a long day in the field when hunters are tired, it is more important than ever to be extra careful with firearms," Long said. The following are brief summaries of a few hunting incidents that have occurred in Colorado. Every hunting accident is different, but these examples provide useful information for all hunters. As you read these think about situations you might find yourself in. In one fatality, a father and son were kneeling side by side ready to fire at an elk. The son also was holding the lead rope of a string of horses. When his father fired, the horses spooked, pulling the son's rifle toward the victim. During the commotion the gun fired and the father was killed. 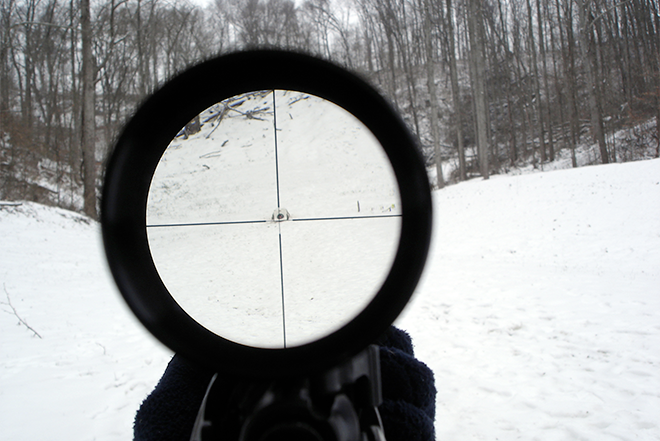 One accident shows the danger of walking on difficult terrain with a rifle. A hunter was walking with a guide on a steep hillside. He slipped; the rifle hit the ground and discharged. The bullet struck the guide in the head, killing him. If you are on difficult terrain or walking near someone, it's best to unload your rifle. In another incident, a bow hunter took off alone in pursuit of elk. At some point he fell on an arrow - which was not in a quiver - and cut the femoral artery in his leg. The hunter bled to death. An elk hunter was running in an attempt to get ahead of some elk. He stumbled, his .308 rifle fired and shot him in the leg. "Never run while carrying a loaded gun," Long said. Another big-game hunter was using his rifle as a walking stick. The rifle fired, shooting off the tip of his thumb. "Always carry a rifle with two hands, never put your hand over the muzzle and never use it as a support." Long said. Talk to your hunting partners, youngsters and new hunters about safety in the field. Firearm safety should be considered every time you go out hunting. "Always remember that when hunting, one moment of carelessness with a firearm can mean a lifetime of consequences," Long said. 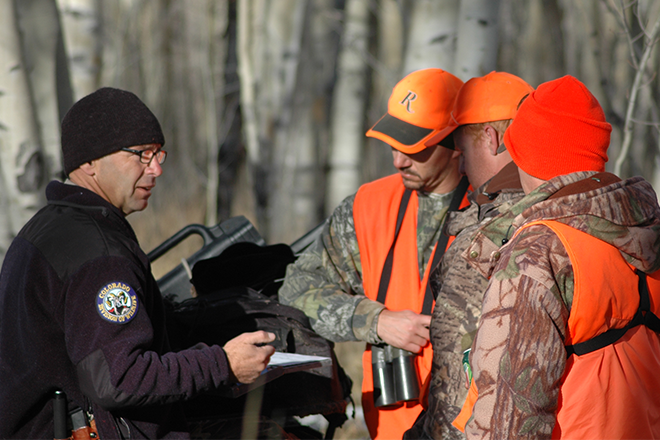 For information about mandatory hunter safety courses, go to: http://cpw.state.co.us/learn/Pages/HunterEducation.aspx.